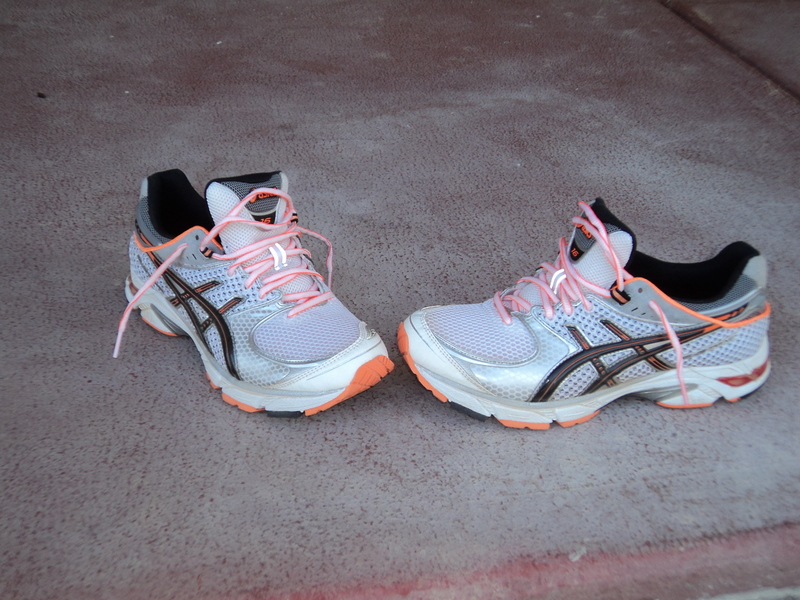 It’s no secret I love Asics shoes, or most of them. The Asics Gel DS Trainer 16’s are a shoe I love, so much in fact, that I have two pair, one of which will be my long course racing shoe this season. What’s not to like about this shoe? Two things. The first is very short shoe laces especially if you have high volume feet. The second is the final bit of the lacing system at the top of the shoe, which they call the Clutch Collar. 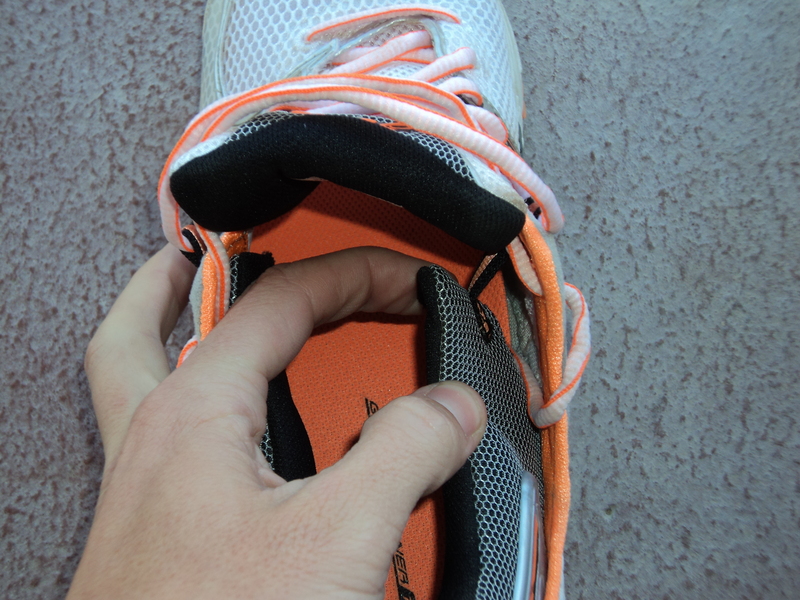 Your heel sits snug in the shoe, but other Asics shoes accomplish this with out the Clutch Collar lacing system. Change for the sake of change is not always a good thing. I feel there could have been a better way to design this important part of the shoe. One the flip side, what is there to love about this shoe? The fit is awesome – it feels like a slipper when you put it on. There is enough room in the toe box for wider feet. It runs like a sports car – firm, fast and handles well. I had no problems putting this shoe on for the first time, running 6k, then starting an interval session. There is no break in period required. It runs fast right out of the box. The Gel Trainer 16, like most of the shoes before it in this line, has a dual density mid sole. Those who pronate will appreciate this feature. 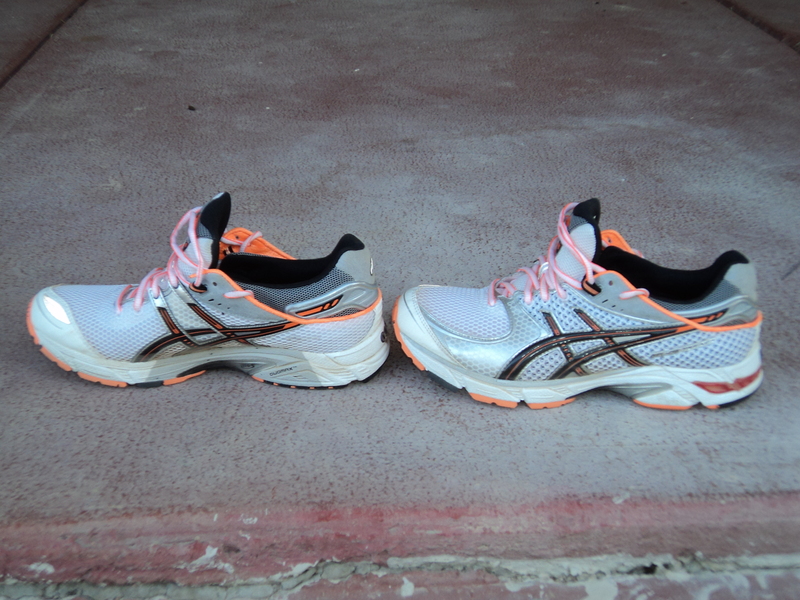 If you run neutral, the dual density mid sole does not hinder the runability of this shoe. 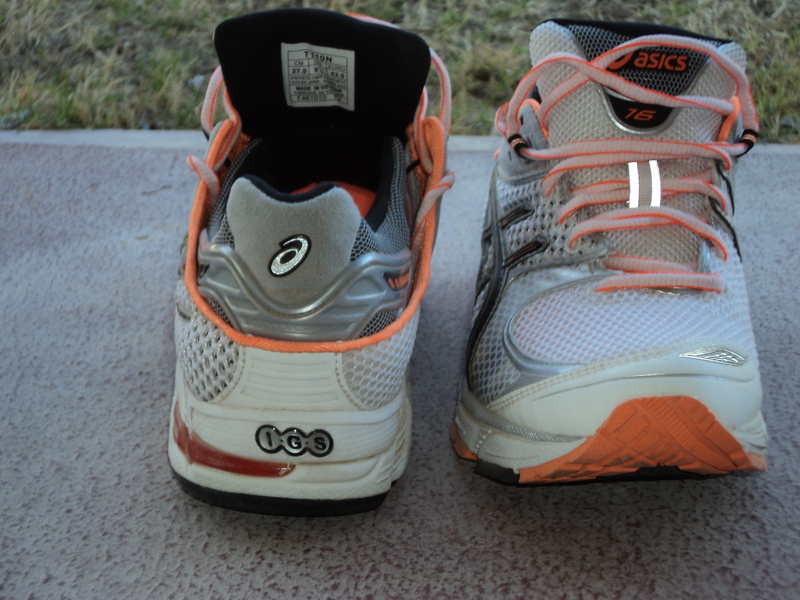 Your foot sits about as high in this shoe as an Asics GT2150 but you feel lower to the ground. This is probably due to the 2150 being an everyday trainer and the Gel DS 16 being a faster shoe for running. Don’t take this to mean that you can not use the DS 16 as an every day training shoe, you can. I often log 12-14 miles during an interval session, with 3-6 miles for warm up and/or 3-6 miles after the intervals. If you want a fast running shoe for interval sessions, that can double as a daily trainer you may want to give the Asics Gel DS Trainer 16 a shot.